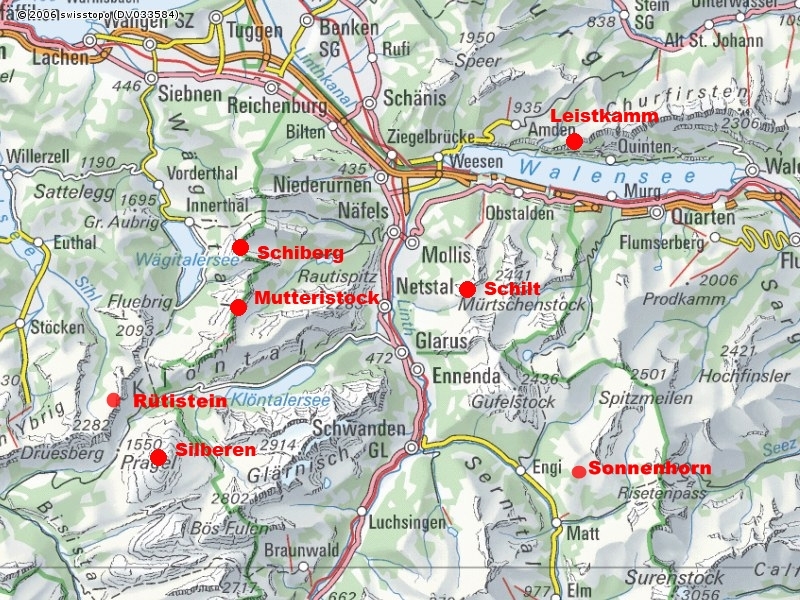 Last, but not least, one shuold also mention the popular Small Kärpf (not on the map below), above Elm reachable with a one hour car drive from Zurich. 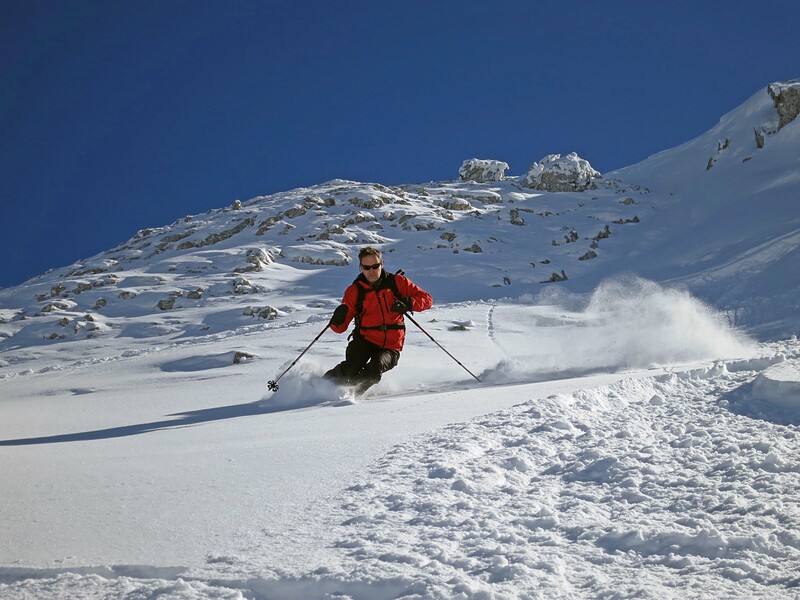 The Mutteristock (pretty long tour), Schilt (easy), Rütistein (easy), Sonnenhorn (easy) and Silberen (easy) are classic skitours in the region and they are thus a bit crowded, especially on nice Sundays,. Nevertheless, I can still recommend all of them. 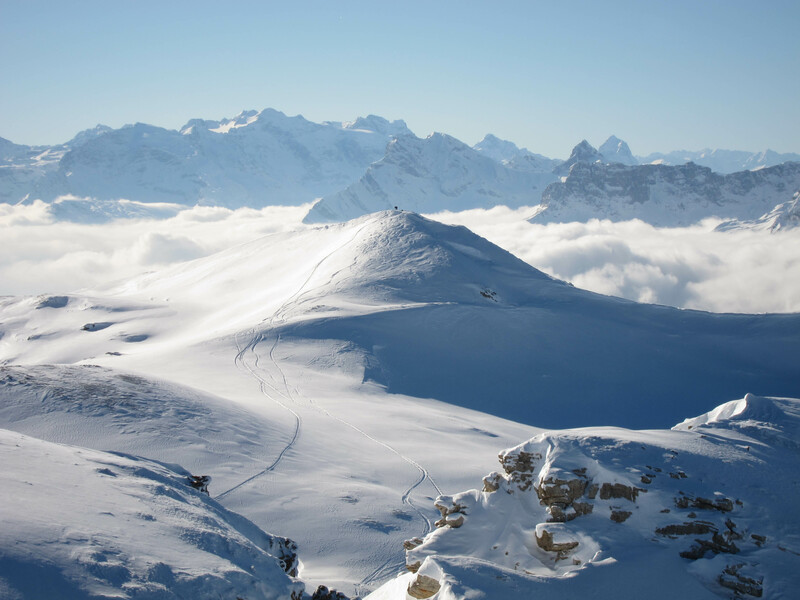 An alternative to the Mutteristock is the less travelled Schiberg (“Ski Mountain”). 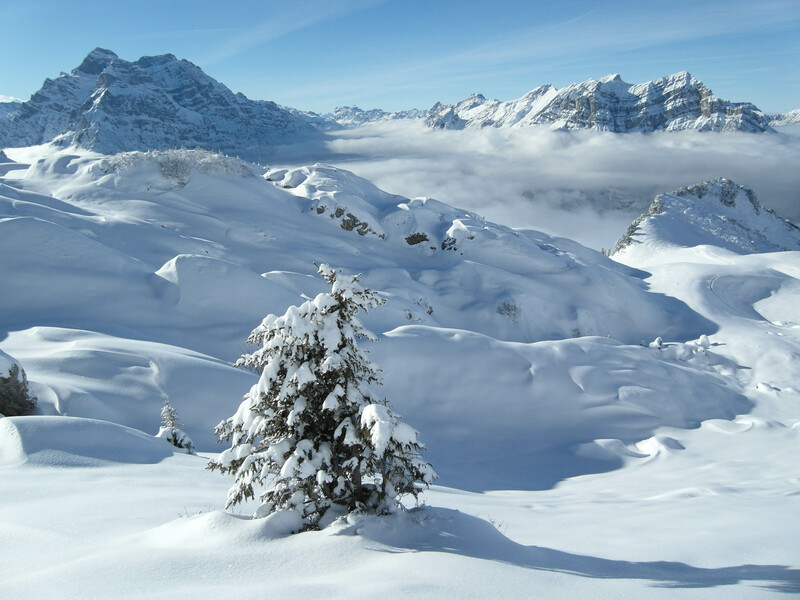 On the steep Leistkamm you will also be likely alone in winter, as the face is quite steep. 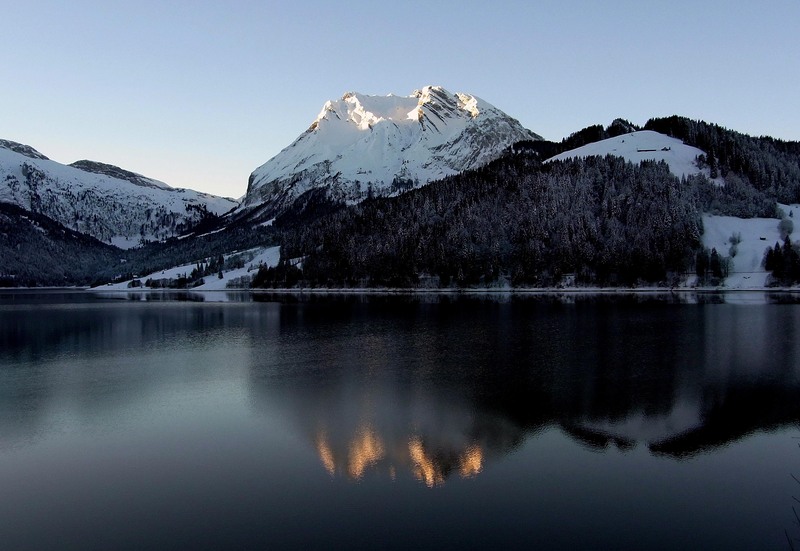 The Schilt is a popular peak in winter. 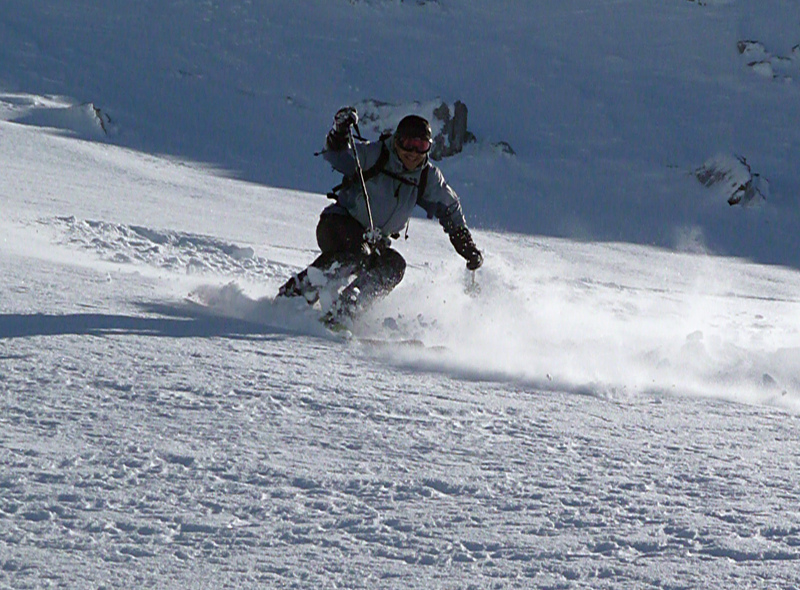 It offers great views, but seldom great powder (often wind-blown). Also the descent from the Schilt in the upper part is more a traverse than a downhill. 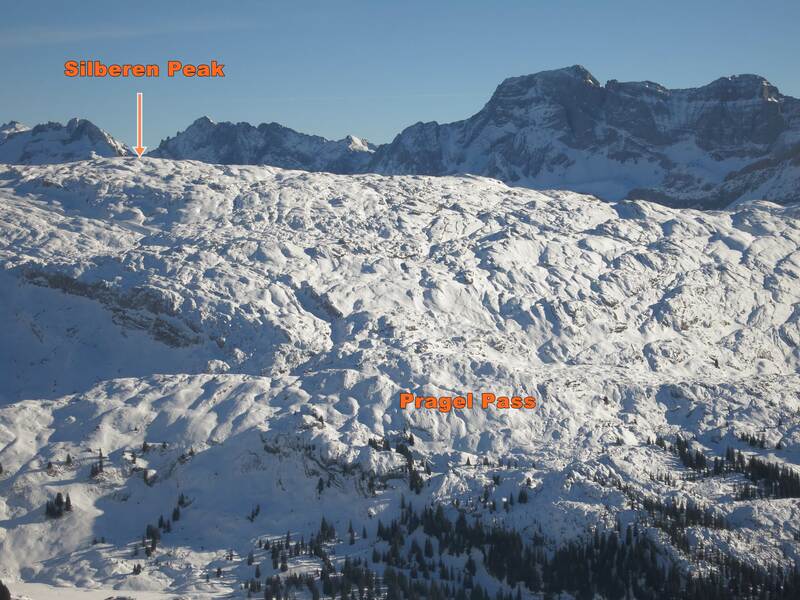 If the ski lift Fronalp is is running, then the climb is about 1 hour shorter. 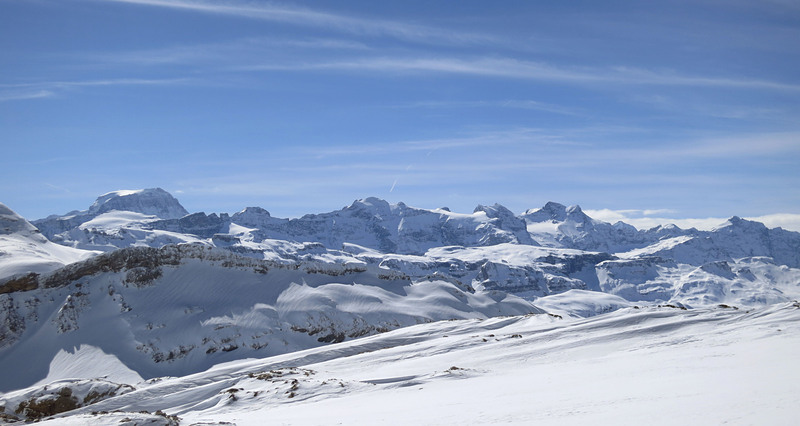 The slightly higher and much steeper Siwellen (just North of Schilt) offers the same views and much better downhill skiing (in safe conditions). I certainly prefer that peak to the Schilt. Height 2101m, ascent 900m, about 2-3 hours, quite steep in the top part. 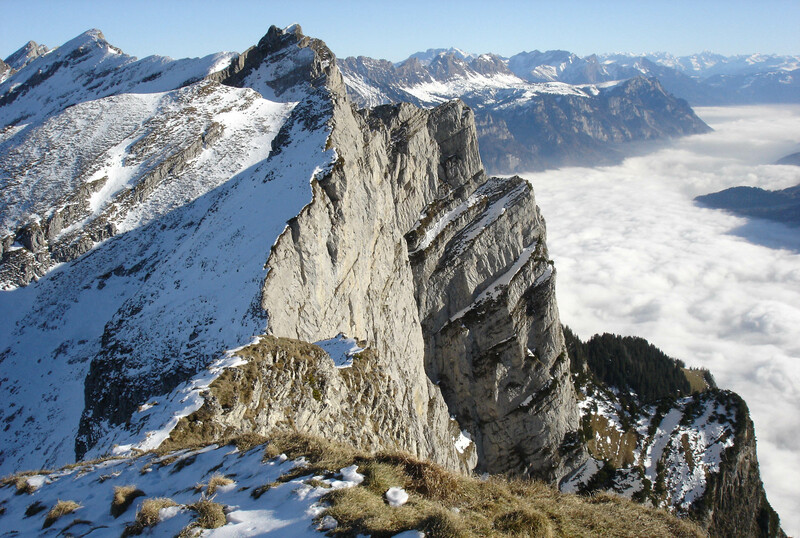 The Leistkamm is a very popular hiking mountain in summer. In winter, this peak is quite lonely. The ascent (top part) is quite steep (35%). Also, the ridge is often wind blown. 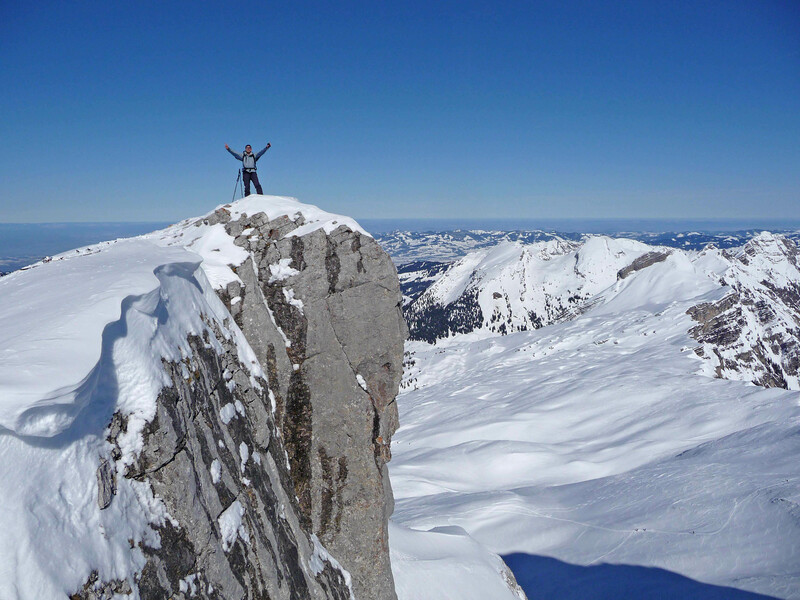 Skiing down is seldom great, but the views are fantastic! The tour is only reommded for experienced tourers! 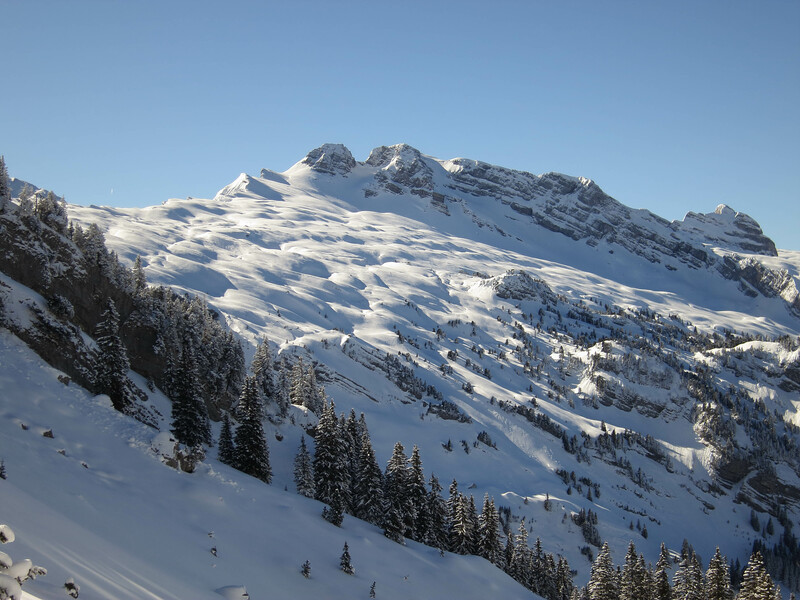 The Mutteristock in the back of the Wäggital is likely the most popular serious ski touring mountain in the region (close to Zurich). On weekends 50-100 tourers can be on the mountain (or in the area), many of them, however, heading to the lower Redertengrat/stock. The tour to Mutterstock has an “alpine” feeling and is pretty long. While the parking lot might be very crowded, on the top is usually is pretty quiet. This tours need snow down to about 1000 meters (starting point). But even if you have to carry the skis for 30 minutes or so, the tour is still recommended. Do not get too close to the rock walls after leaving the forrest as sometimes during spring the snow is falling off these cliffs! One usually skies down the ascent route, but (in safe conditions) the descent by the North Couloir is great (quite steep, about 40%). Height 2044m, ascent 1000m, about 3 hours, easy tour, except for the very top part which needs from light climbing. The Schiberg is a great alternative to the Mutteristock. The peak is pretty “lonely” usually. Views are great and the very top part offers some (easy) climbing for those who like that. 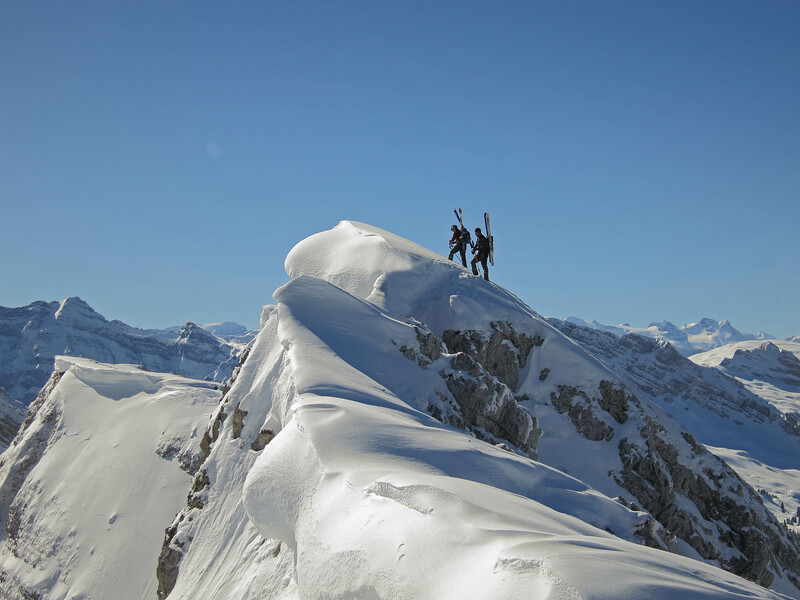 Ski tourers usually stop a bit below. To find a parking at the Wäggital Lake below the Schiberg can be tricky as there are only few spaces available right there. Overall, a great tour as well. Highly recommended! Note: The direct ascent is not possible anymore! (“Wildschutzzone”). See tour map. 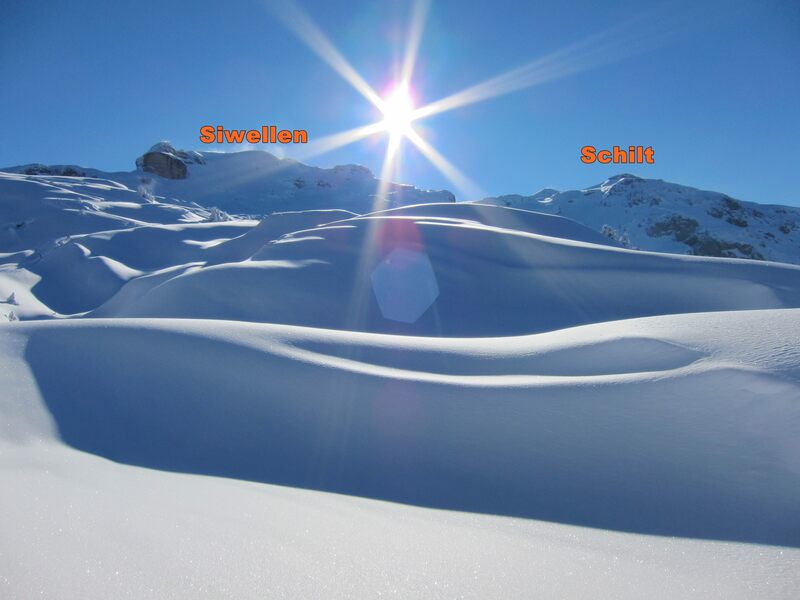 Silberen is not really a peak, but more a plateau (you could fit many football fields on the top of Silberen). The ascent follows initially the road to the Pragel Pass (paved in summer, great for bike riding), then leaves the road to the left through the forrest. The limestone geology above the trees is quite unique with rock walls, small hills and dumps. In the fog you can easily get lost on the Silberen! Watch out! On the top a broad sweeping panorama expects you. Quite unique. There are many spots there to take a break or eat a sandwhich. 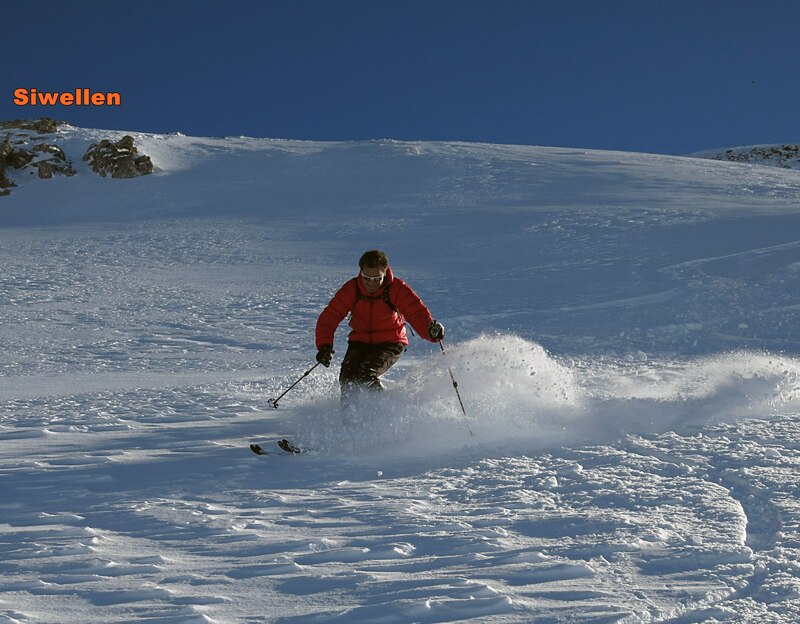 Skiing down from Silberen is fine in the upper part where you most often will find some virgin powder. Make sure not to miss the entry into the forrest at the ascent route (as this is the only allowed descent route). Thereafter, one has to follow the tracks and then the road, unfortunately. Other recommended tours in the Zurich area are the pleasurly Sonnenhorn (tour report here, tour map here), the easy Small Kärpf (or the more ambitious Big Kärpf with some climbing, tour report [in German] here, foto gallery here, tour map here) or the easy Rütistein (with the steep Forstberg close by, tour report here, tour map here). 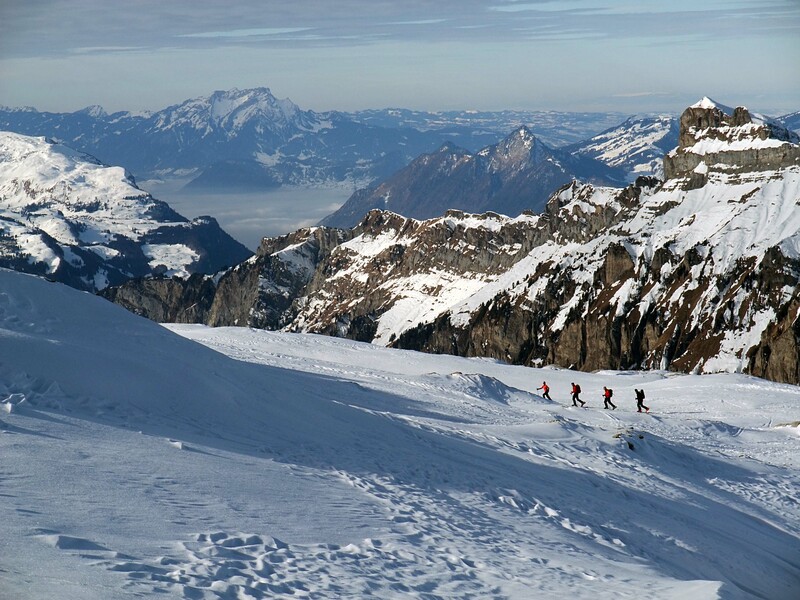 Zurich is not such a bad basis for ski touring. A 45 minutes car drive takes you to many great mountains! 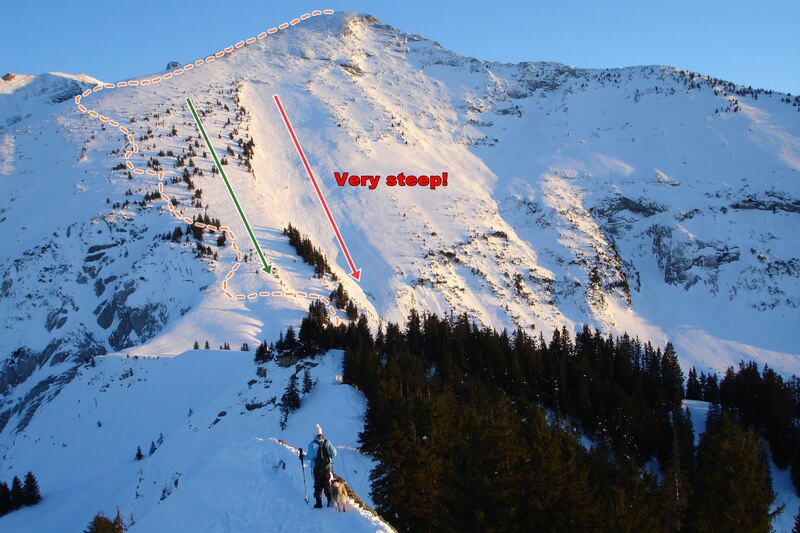 Previous Ski Tours Around Monstein (Davos) – Watch Out (for Avalanches)!